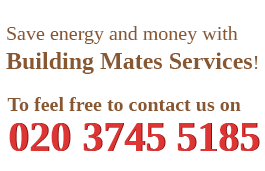 BuildingMates is a leading provider of wide range of building services in London. 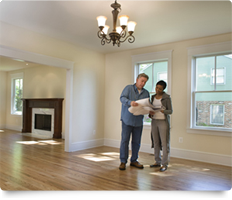 Contact us today and we will help you with your home improvement project. If you want to transform your loft or basement into another room, have bathroom or kitchen fitting, house extension, conservatory or other type of new construction in your home, we can offer you our reliable building services. They can guarantee you brilliant and professional work, which will make your home and commercial property a lot improved and more valuable. Use our reasonably priced building services any time you need them. They will create the living or relaxation space you need and significantly increase the value of you home. We provide our superb building services in London, seven days in the week. To reserve them use our customer support contact numbers or website to request and receive your free quotation. Give us a call on 020 3745 5185. Before implementing the type of building work each customer needs, our building engineers will illustrate the project. They will use drawings and computer graphics to show each customer the indoor and outdoor space in his property, after the construction is made. After approving it, our planning assistants can calculate the price of the materials and the work to estimate the cost of your project. All these planning tasks are done in advance so that each customer knows what to expect, how his project will look like implemented and its value. Every extension, conversion, fitting and construction project will be done according to the budget and requirements of the customer. All details, concerning the work, materials and timing will be arranged before the work starts, in order many mistakes and problems to be avoided. The electrical, plumbing, plastering, decorating, lighting, heating, water and power supplying work are also included in our services. Our engineers and builders will take care of the acoustics and security, taking the necessary health and safety precautions for their work. 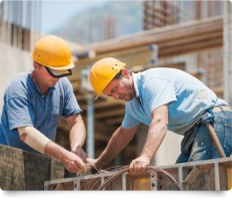 Whatever type of building services you need, you can rely on our building engineers to plan and create the necessary conversions, extensions and fitting work. They are qualified and experienced professionals, who can ensure you the needed space and improvements in your home and commercial estates. Call us on 020 3745 5185 and schedule the building services you need, provided for all residents of London. You can use the services of our call centre, which works 24/7 and is ready to assist you receive the building services and information you need.